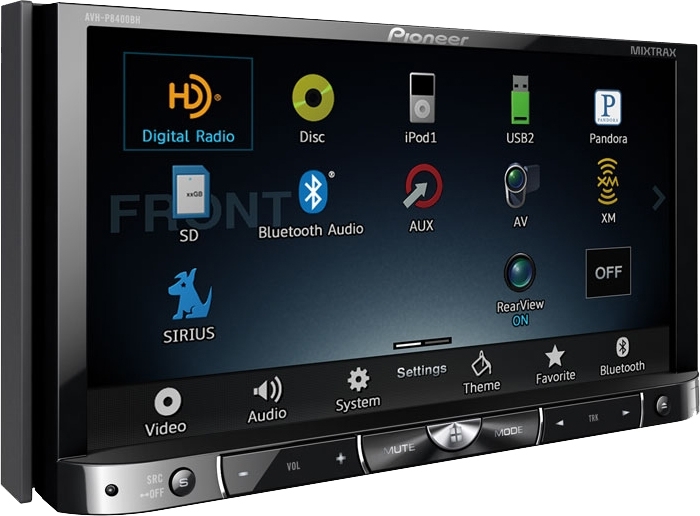 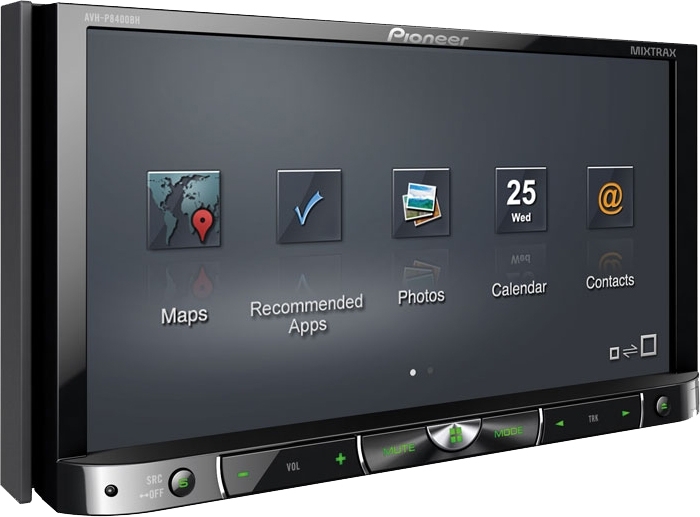 The AVH-P8400BH is Pioneer's top-of-the-line DVD multimedia receiver that features a beautiful 7" motorized touchscreen interface with our new Advanced Display Resolution technology, built-in Bluetooth® for hands-free calling and audio streaming, an HD Radio™ tuner, and AppRadio Mode for iPhone® 4/4S. 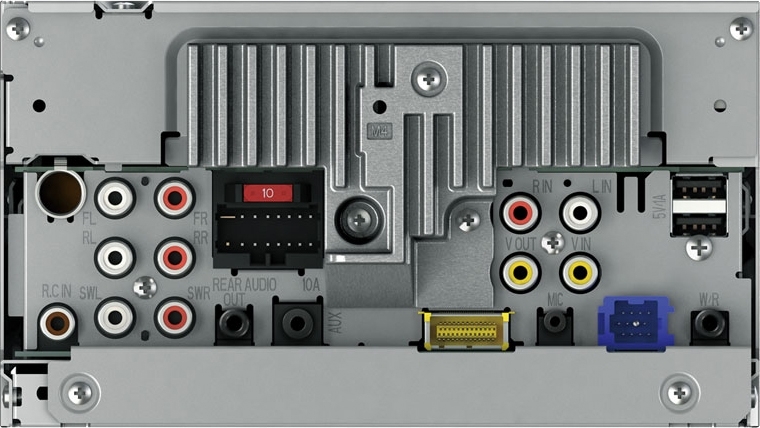 The newly designed and innovative user interface makes direct operation of the unit stress-free by eliminating complicated layered selection displays, so access to desired functions is smoother and simpler than ever. 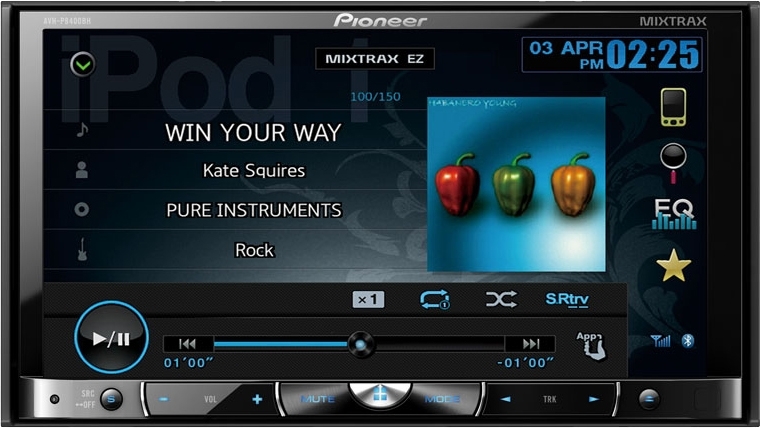 A variety of multimedia options ensures that you will be properly entertained. 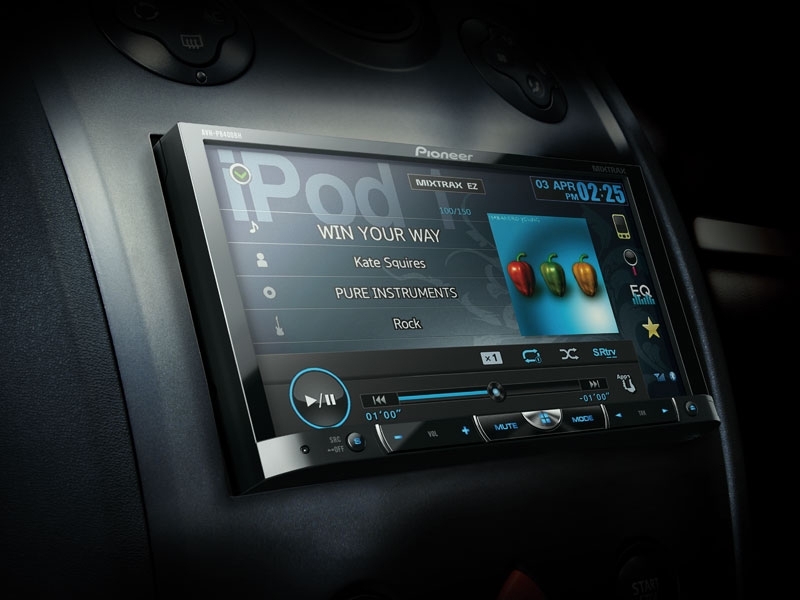 Customizable audio and video functions make it easy to suit your mood. Copyright © Stereo Sales, Inc.. All Rights Reserved.